A new villa not overlooked with a panoramic bay and beach view. 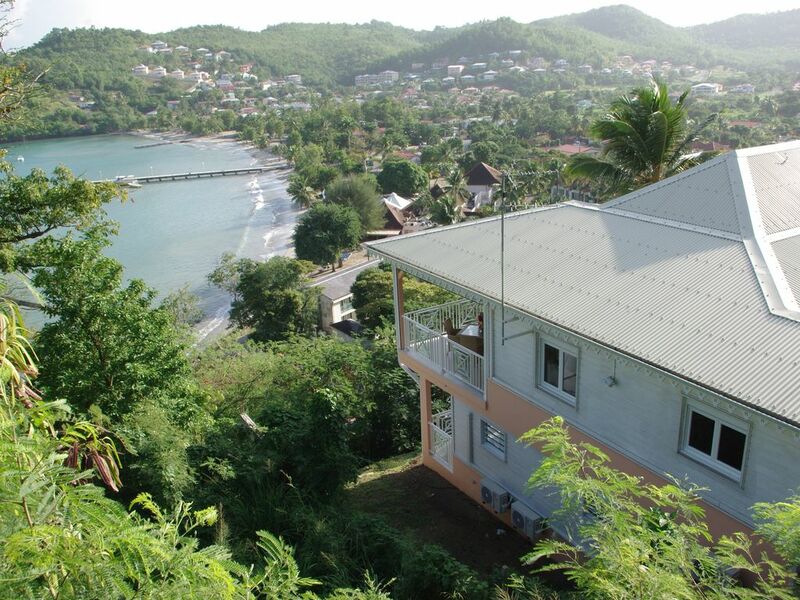 A new villa overlooking Anse beach to Ane beach with an exceptional bay and beach view. All modern conveniences and fully air conditioned. A large terrace measuring 24m² with lounge and dining area, a panoramic bay and beach view. 3 bedrooms, two of which with a small and independent terrace with a sea and beach view. 2 shower rooms with a walk-in shower. A completely fitted kitchen with electric oven, ceramic hob, microwave, dishwasher, fridge, freezer, washing machine, toaster and coffee maker, etc. It is equipped to host 6 people. Coffee, tea, sugar, bread and a fruit basket are organized for your first breakfast on the terrace. 2 shower rooms with separate shower measuring 2x 1.5 m and WC on each floor. Villa tout à fait conforme à l'annonce : confortable, fonctionnelle, très bien entretenue et très bien située . Nous y avons passé un excellent séjour . Merci aux propriétaires et aux personnes qui nous ont accueillis sur place . Acompte de 25 pour cent à la réservation Solde 1 mois avant la prise de possession de la villa Caution de 730 euros et caution de 70 euros pour le ménage .